We hiked and climbed trees for this super fun photoshoot inspired by little red ridding hood. This was a super fun shoot! Working with the Dream Team! This Fairy Garden Shoot was a lot of fun creating. Making that Flower Crown with the wings was a lot of trail and error but was worth it in the end! Would you ever have Fairy Godmothers for bridesmaids? This was a really fun stylized shoot with local vendors. 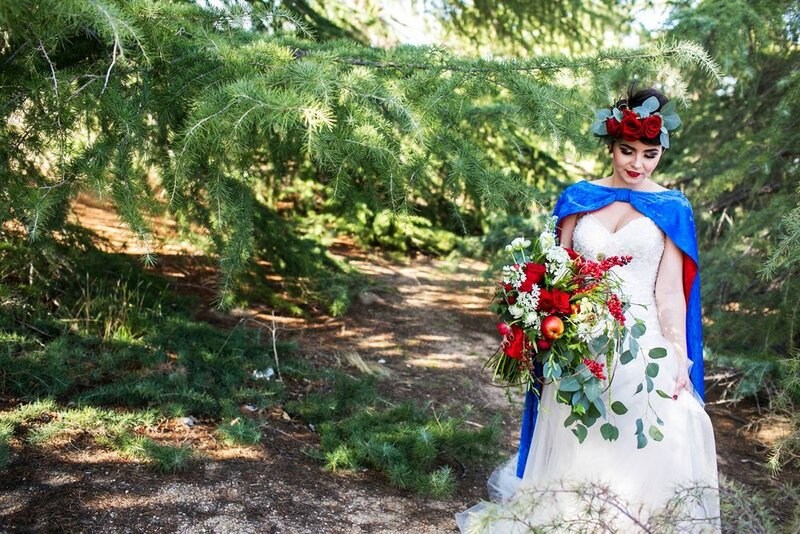 This magical fairytale inspired shoot captured by the lovely Michelle Bongirno. We love working with our talented vendor friends.